John Baigent of Lot 24 Con 3 was born April 29, 1896. He attended Dickson’s School, and resided at R.R. 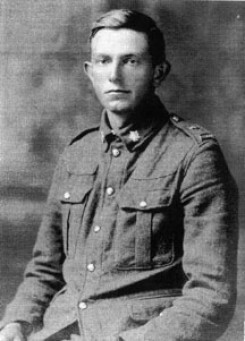 3 Ingersoll, until his enlistment on May 13, 1918. John’s recruitment information described him as a farmer, single and 22 years old. He was a member of the 1st Depot Battalion. John’s serial number was 3133947. After the war John farmed at Lot 20 Concession 2.